One of the most useful tools in a job hunt is the internet. A lot of jobs are advertised on job search websites. But which one is useful and good? Everyone will have their own opinion due to either what job they looking for or what help and support they can get off them. Some sites will just advertise jobs for employers where as other sites will also help you develop job search skills/tools such as CV's, covering letters, interview skills etc. 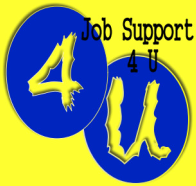 We will provide a list of the sites that everyone uses help them in their job search. We have put together a list of helpful websites for both U.K & U.S.